Always popular, this piece carries a 1907 copyright by V.D. Brenner, the engraver of the US Lincoln cent. 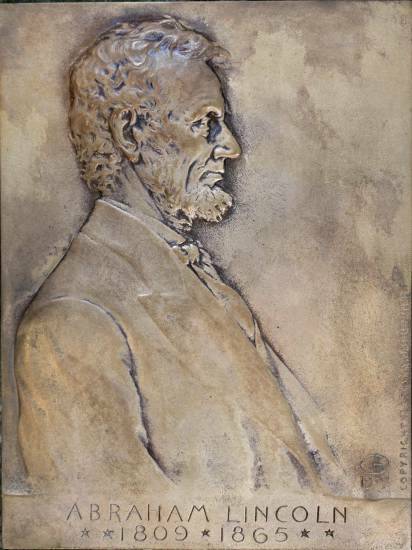 The bronze measures approximately 7 x 9 3/8 inches and has been improperly cleaned, giving the piece a "lighter" look than normally seen. The green marble base, measuring approximately 8 1/2 x 10 5/8 inches, is cracked through in two places. The bronze easel is still attached. Shipping to the United States only.